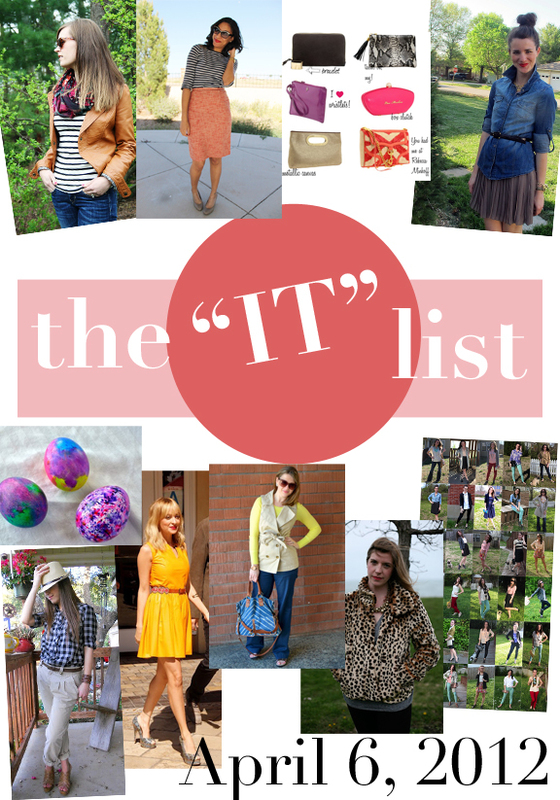 I'm so glad the IT list is back.... check out these great links! Style your Life teaches us clutch etiquette and shares a few of her favorites! I am loving the little snakeskin number! Lipstick & Lollies goes bold with a leopard coat and red lips for an instant glam look! Her coat is to die for! 100 Inspirations Still looking for the perfect Easter dress? Check out this super cute Nicole Richie inspired look for less than $80! Ah! So cool... I have been thinking about doing this.